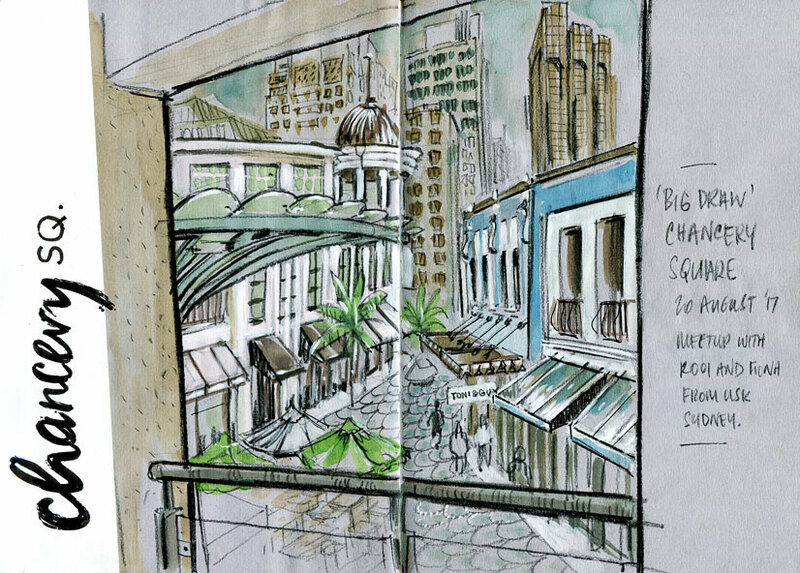 My sketch from yesterday's Big Draw meet up in central Auckland. We had the pleasure of a couple of Sydney urban sketchers, Rooi and Fiona joining us. Unfortunately Auckland was doing what it does well – rain – but we found this excellent dry sort looking down on the square.